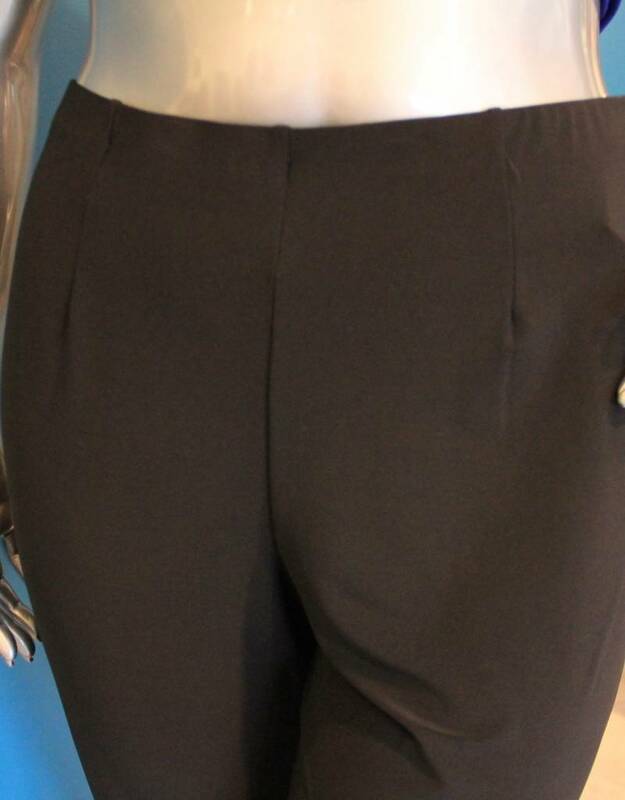 A slim leg pant with a small slit in the side seam. This pant is a pull on. Easy wear and easy care. A great basic for your wardrobe. 92% Polyester / 8% Spandex. Machine wash and hang to dry. Made in Canada.